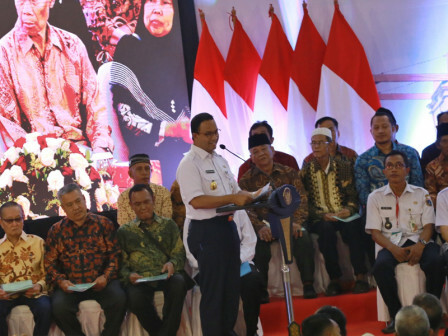 " Insya Allah, this land certification submission can help West Jakartans to improve their welfare"
"About 91.98 percent of 370,197 land areas in West Jakarta have been certified," he expressed. "Insya Allah, this land certification submission can help West Jakartans to improve their welfare," he conveyed. "Hopefully they can use this certificate for proposing business capital to bank," he added.